Two and a half years ago, I test drove the Tesla Model S and had one thing to say: believe the hype. 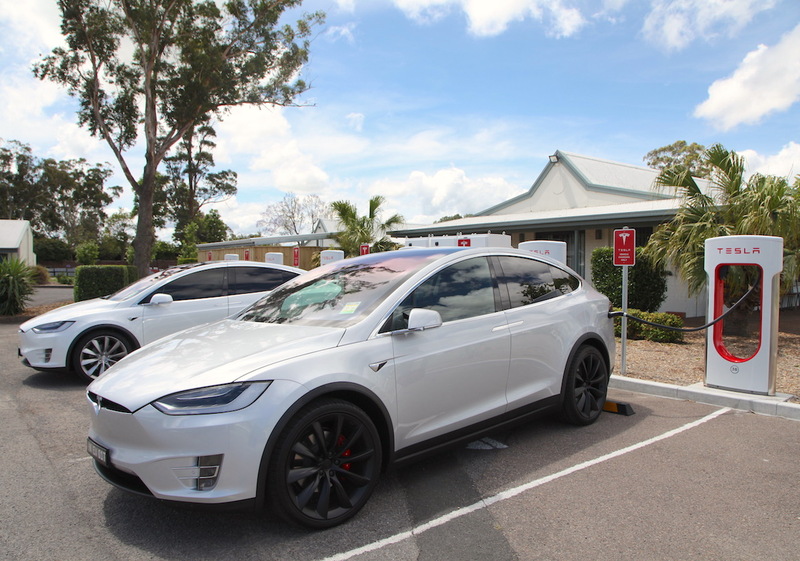 This time around I want to take the Model X on a longer trip to also evaluate the burgeoning network of charging stations around Australia. 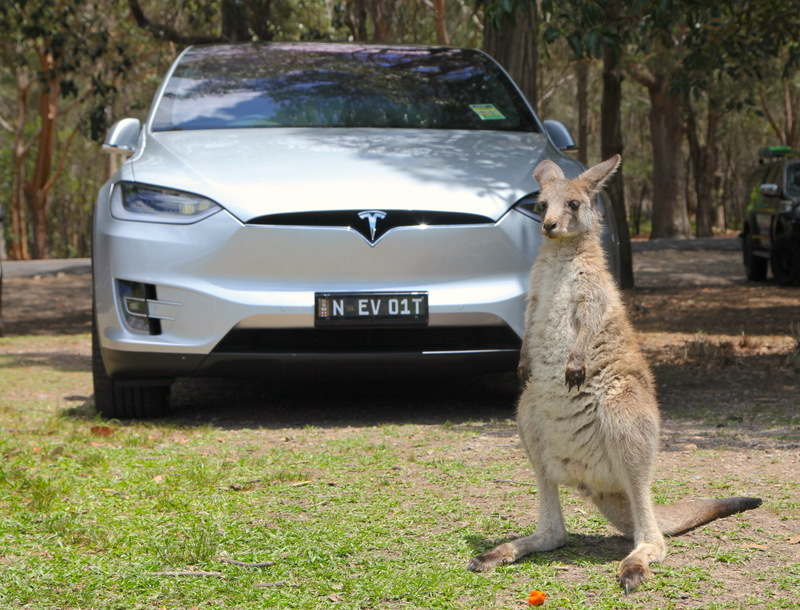 Although Tesla won’t communicate sales figures for Australia, anecdotal spotting on the streets and a recall earlier this year indicate the American manufacturer has already sold north of 1.500 units in the country, a real success. 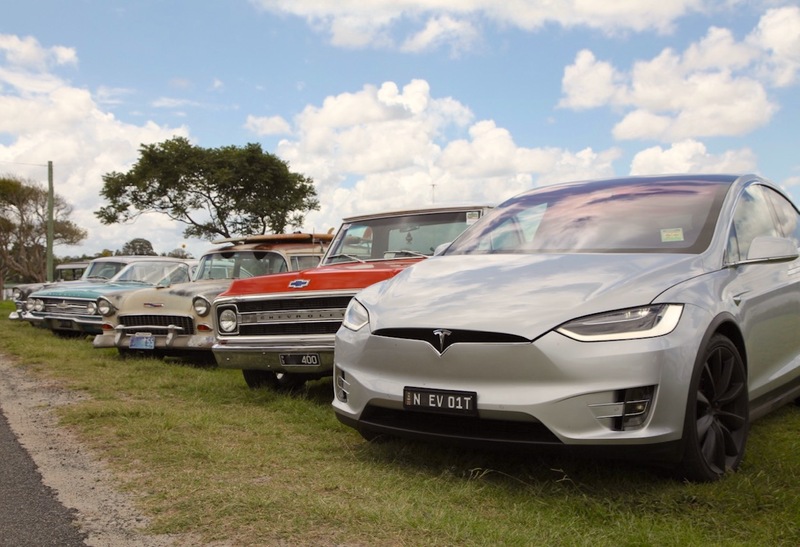 Worldwide, the Tesla Model X is simply one of the top selling electric vehicles, up there with the Nissan Leaf, Tesla Model S, BYD Qin and BAIC EC-Series. 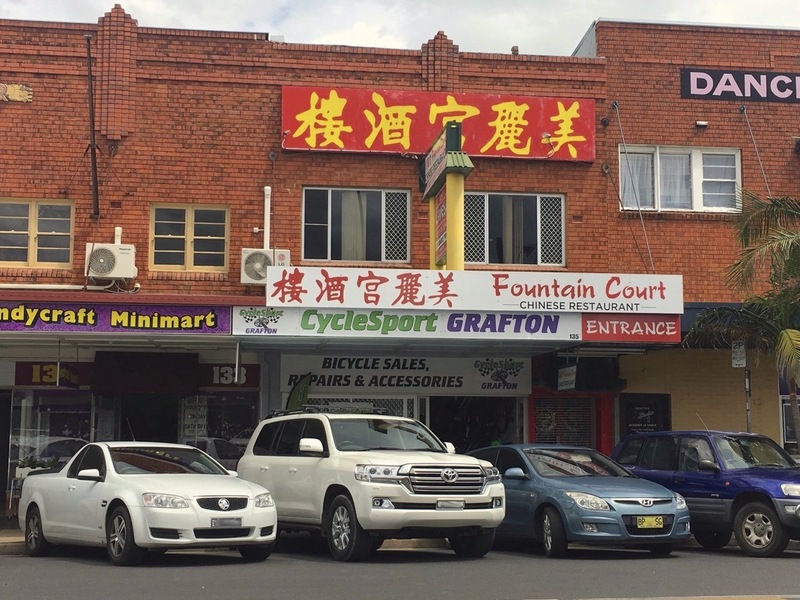 There is one Telsa store in Sydney, located in the northern suburb of St Leonards, “north of the bridge” as Sydneysiders would say. Don’t get me wrong, getting such an impressive car on the road is an impressive feat in itself. 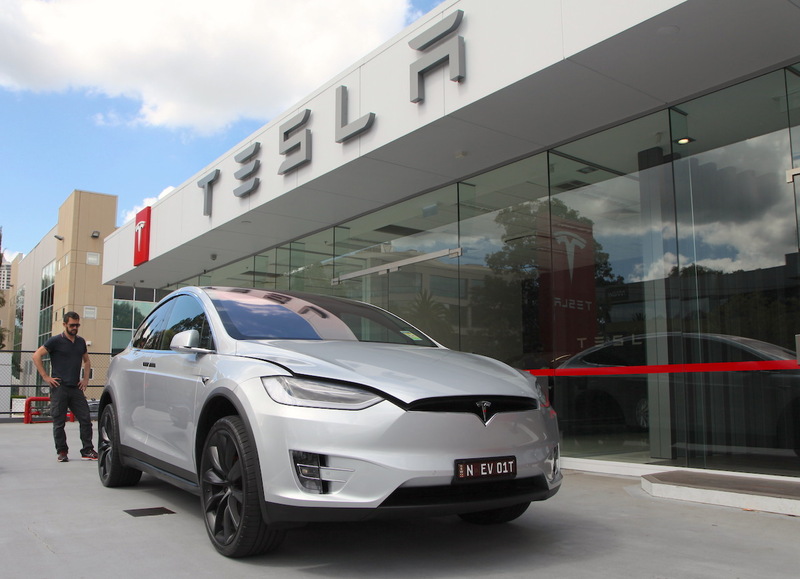 It’s a car for early adopters, the kind of buyers that don’t bat an eyelid when learning the Model X’s price tag. 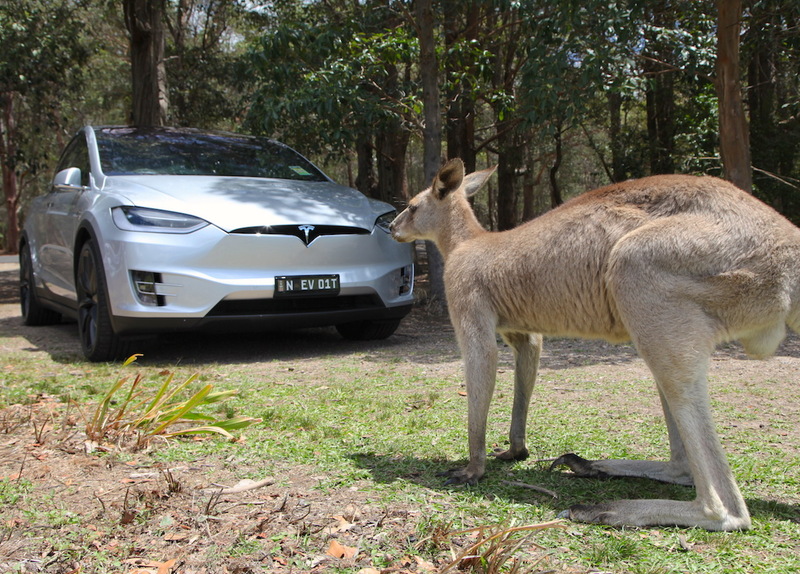 According to the spec sheets sent by Tesla PR, this is a Model X P100D and it comes in at a demoralising AUD 278.025 (US$209.000, 177.400€), including AUD 43.612 worth of Luxury Car Tax, a local specialty. That’s double the price of the Model S I tested before and an awful lot of money indeed. The base price is AUD 203.600, to which metallic paint (AUD 1.400), 22″ Onyx Black Wheels (AUD 7.600) and Six Seat interior configuration (AUD 8.300) were added. 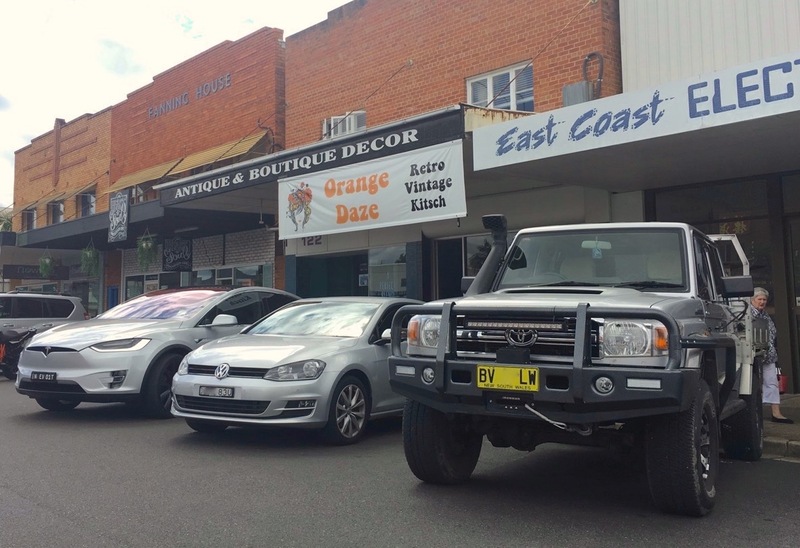 For comparison, for this price in Australia you can get two top-spec Volvo XC90, two top-spec Toyota Land Cruiser 200, almost three base-spec Porsche Cayenne and three top-spec Jaguar F-Pace S. Ex-Luxury Tax, it costs roughly the same as a Mercedes GLS 563 AMG or a Range Rover Sport SVR and is significantly dearer than any BMW or Audi SUV, including the X6 M (AUD 197.900) and SQ7 (AUS 153.300). Needless to say that for that price, I will expect top-notch quality and performance, but also some serious off-roading capabilities. Judging by the puzzled look and unmistakably paler face of the Tesla salesperson when I inquire about exactly how much off-road driving we can do with the Model X: not at all. Her response: “What do you mean by off-roading?” Hmm never mind. This is a performance car that happens to be shaped like an SUV. But first, a name for our expensive ride: after Ivanhoe the Haval H9, Joey the Toyota Hilux, Kaitlin the Peugeot 208 and Lars the Volvo V90 we need a somewhat Australian name starting in M, a male name as this is an SUV, therefore a truck which has a masculine gender in my native tongue, French. We will go with Mike, but Australianised as ‘Mikey’. 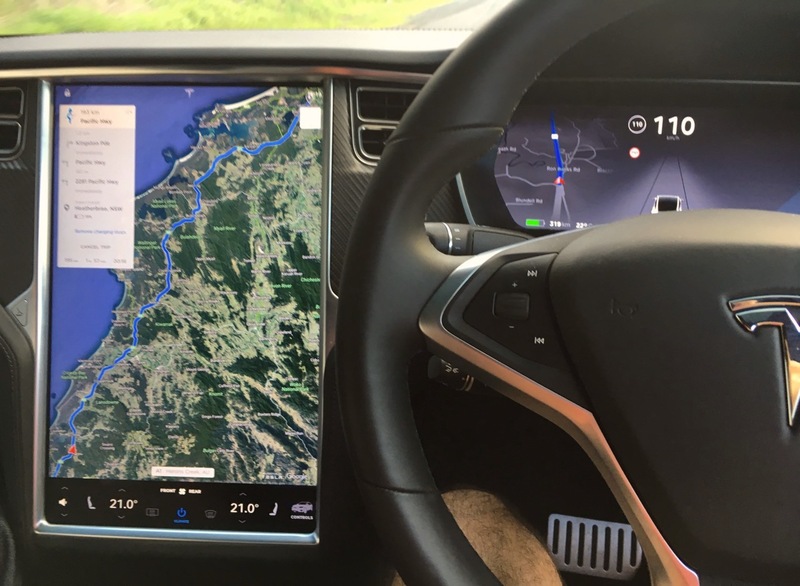 We start the trip with 3.503 km / 2.177 miles on the odo, and although the sticker on the windscreen says 542 km / 337 miles of range, we’ll never reach that figure and full charge allows us a maximum of 430 km / 286 miles. 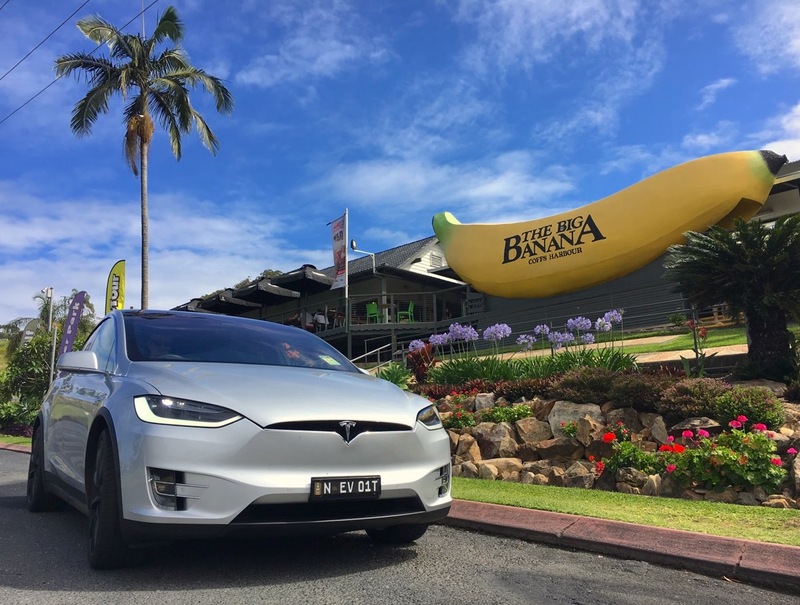 Organising a road trip with an electric car is, for now, a completely different experience than with a combustion car. 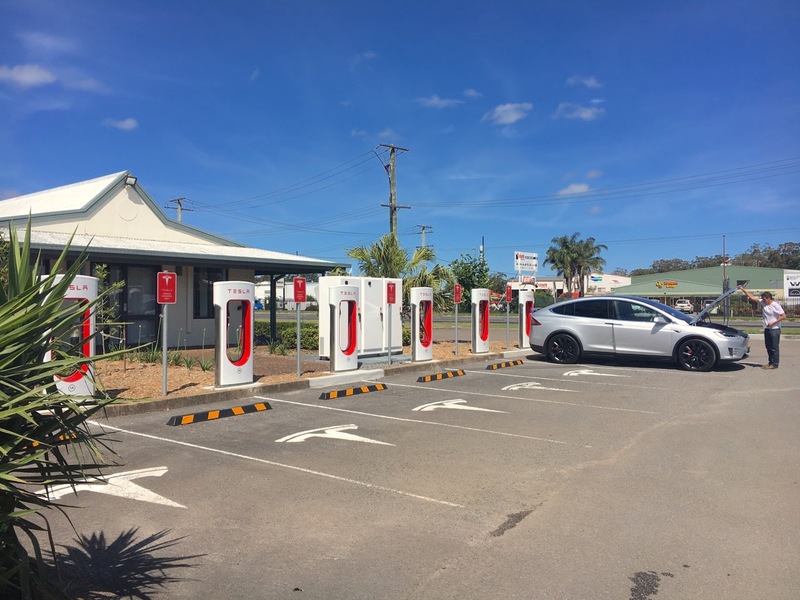 The deep Australian outback and its iconic red earth is out of the equation as there aren’t enough charging stations out there. 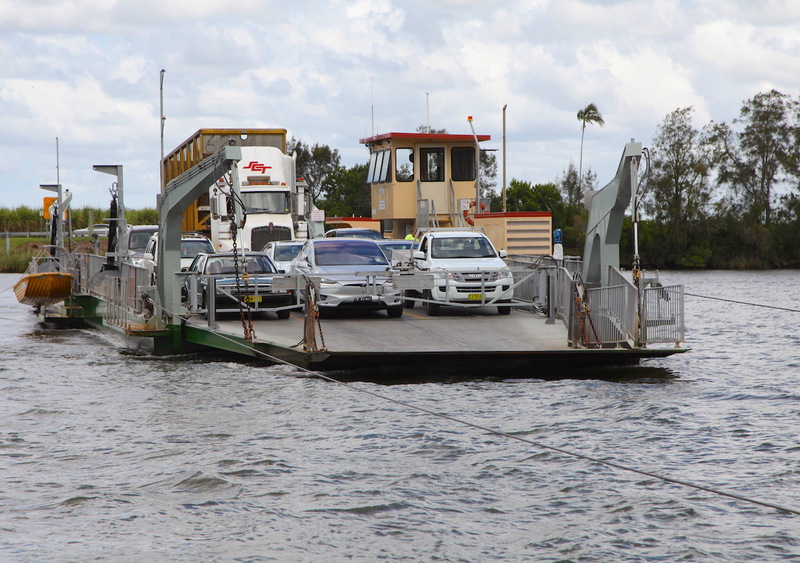 We have to stick to the coast and take the direction of Brisbane. Another option could have been joining Melbourne, but we judged that to be a lot less eventful. A rule of thumb is that you should never miss a supercharger when you reach one. With these, a full charge is achieved in 30 mins so it’s a little like a lunch stop. Except that the businesses that house the superchargers have not yet cottoned up to the opportunities and do not offer quick meal options tailored to Tesla users. Weird. 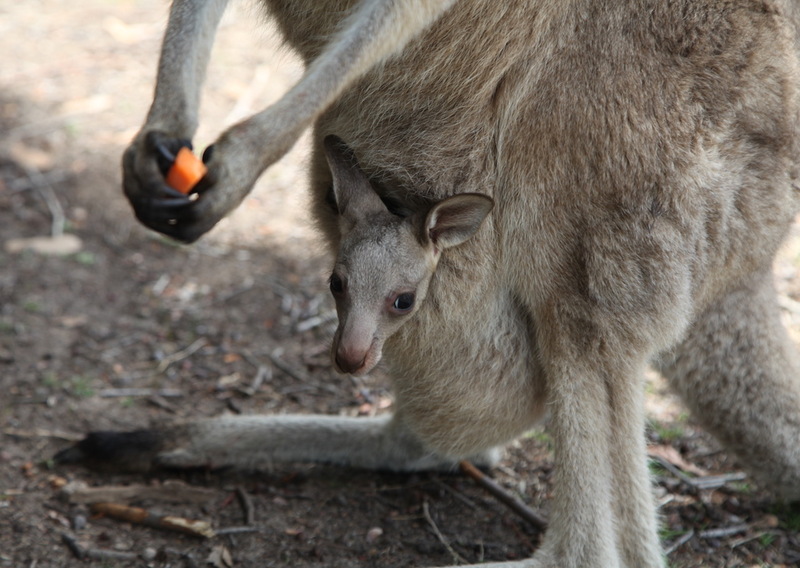 Our first stop is the Morisset Reserve, which has to be one of the only places in Australia where you can actually pet wild kangaroos (only if you have carrots to offer). Very shy in nature, the quintessential Australian animal is surprisingly tame here. A secret spot 1h30 north of Sydney I warmly recommend to all of you visiting the city, or the country for that matter. 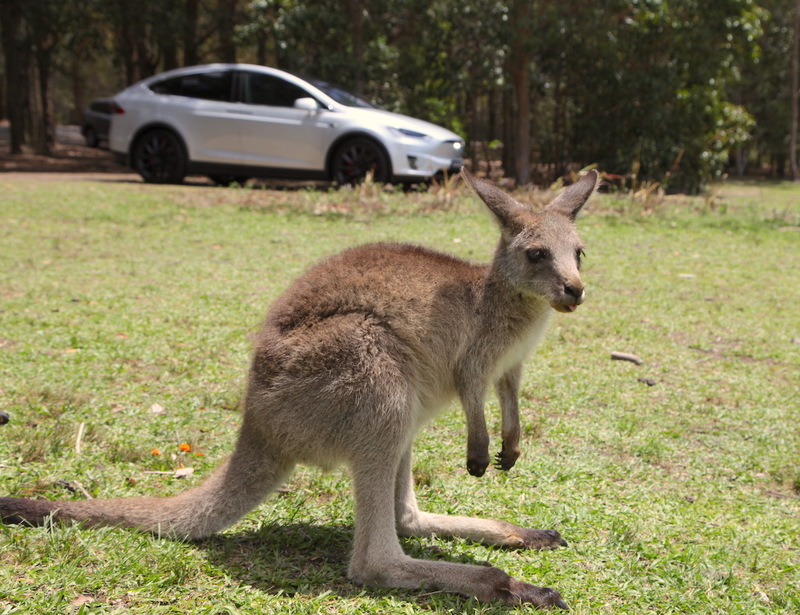 The Reserve, open to the public, is located on the grounds of one of the largest psychiatric hospitals in Australia and I came to imagine that living this heart-warming experience with the kangaroos could be therapeutic for the patients. 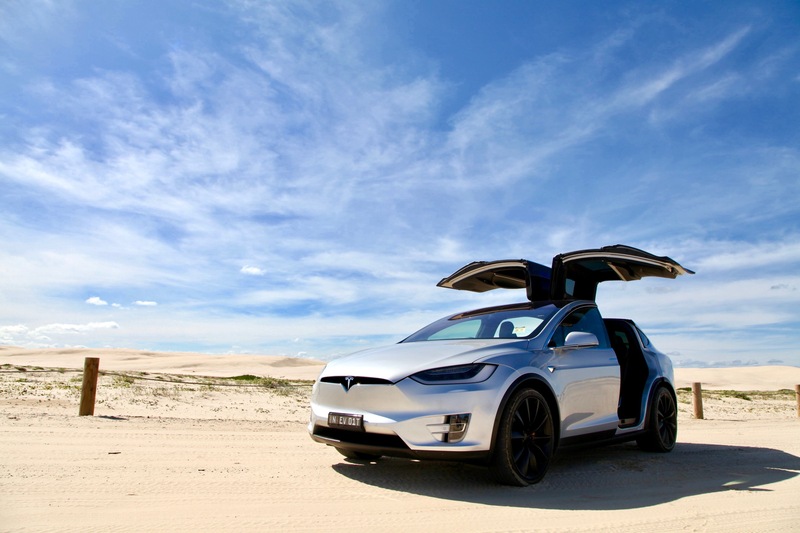 After supercharging in Heatherbrae near Newcastle, we head towards Worimi National Park, home of the largest sand dunes in Australia. 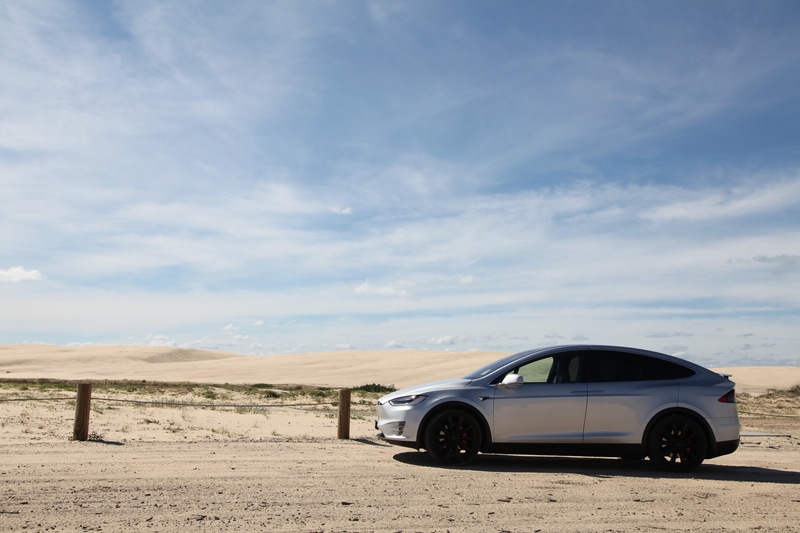 We dare not drive onto the sand so we have to do with some snaps with a sandy background (above). The first night has to be spent at the Fitzroy Motel Inn in Grafton as this the only Destination charging station around. 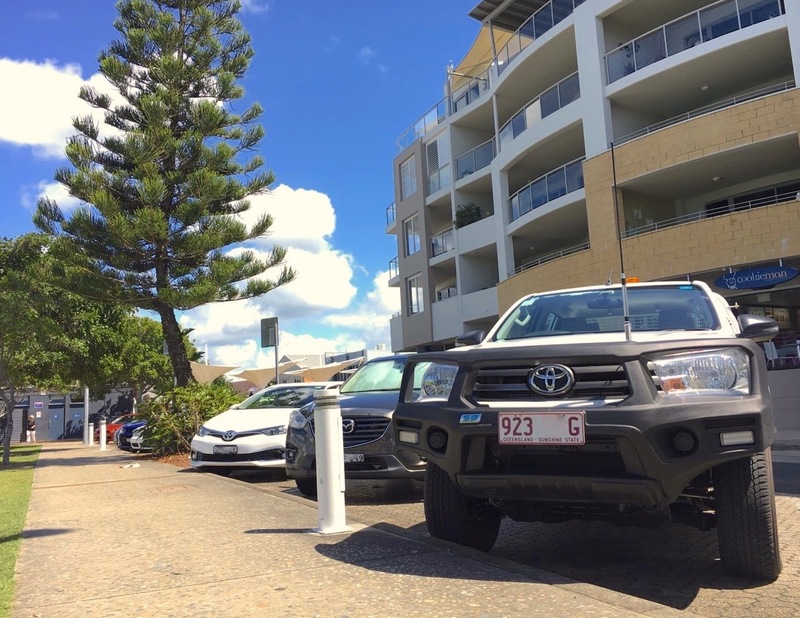 These are slower chargers (approx 5 hours to full charge) usually placed in the carpark of hotels, that you can only use if you are a patron of the hotel (in most cases, some are free for all). But you must call in advance to make sure the station is reserved for you as most only have one or two stations. 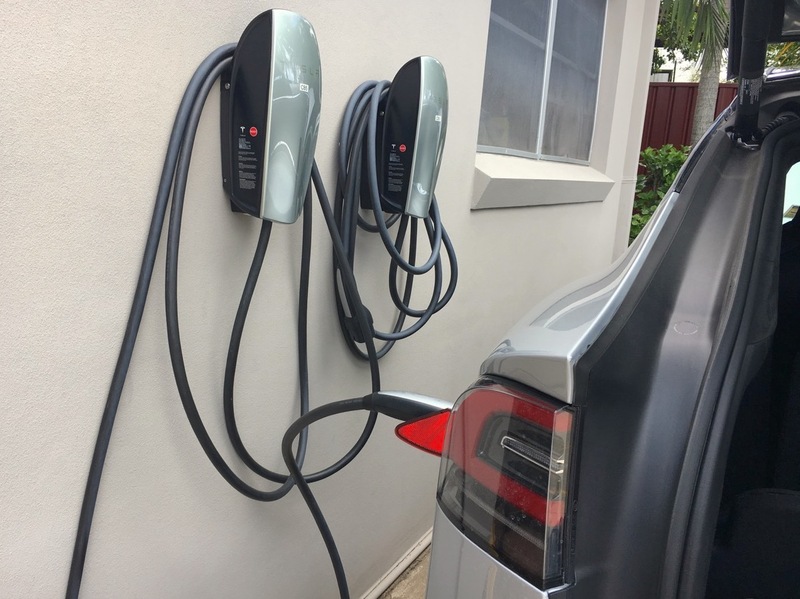 These added elements can make or break a trip as arriving to a fully booked charging station can mean you have to delay your departure by half a day. 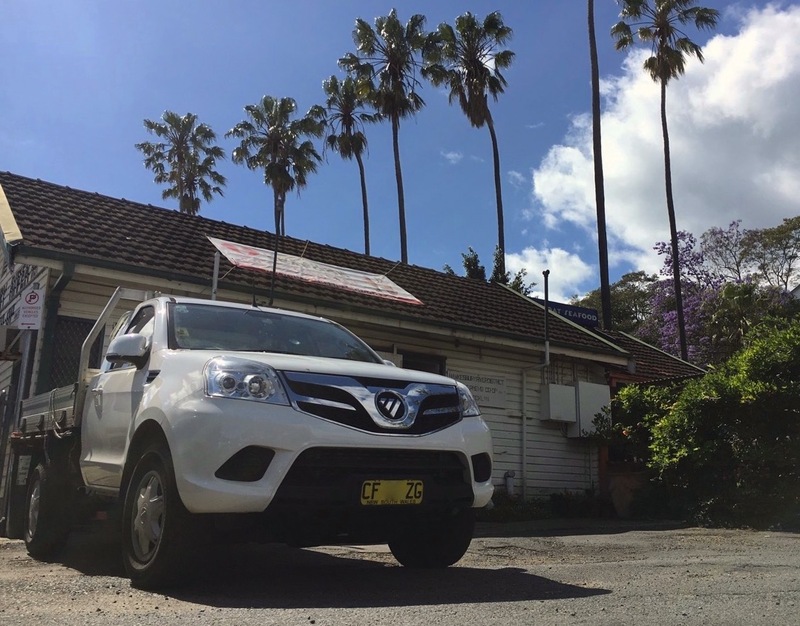 By now the car landscape has well and truly tilted towards pickup trucks with the Toyota Hilux and Ford Ranger kings of the Australian countryside. Roo bars protecting against kangaroos are also common. 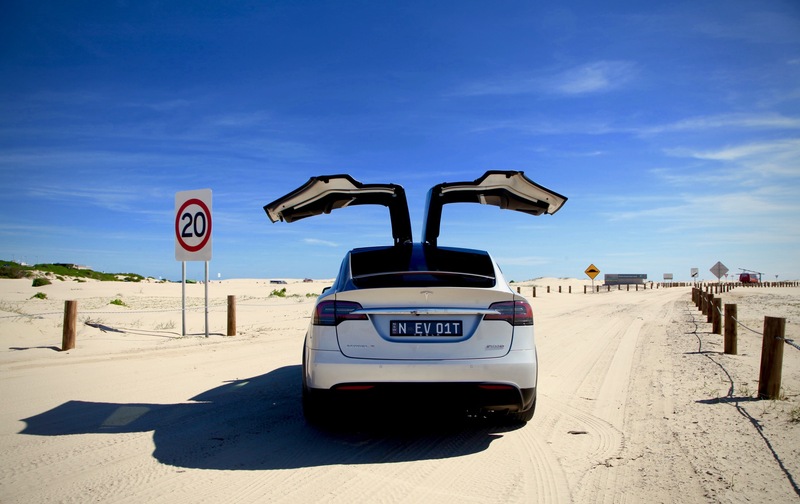 Eager to figure out whether the Model X can match the safety features of the Volvo XC90 and Volvo V90 CC I drove recently, I am disappointed. The press cars have the autopilot mode deactivated, which means no line assist, no emergency braking and, most irritatingly, no adaptive cruise control. Granted, it is an exceptionally smooth ride and the 0 to 100 km/h (0 to 60 mph) in less than 4 sec and 0 to 160 km/h (0 to 100 mph) in under 9 sec are experiences I was so keen to rekindle with and left me very satisfied indeed. Even though it doesn’t offer loads of storage options, the cockpit is a lot more practical than the Model S which was my main criticism then, with many cup holders for example. And the giant central touch screen console is so hypnotising, easy to use and stylish that it’s really hard to be mad at the Model X. Also, the windscreen extends above your heads to end up atop the rear seats, creating a unique impression of space and awesome upward visibility. The Falcon Wing doors are mighty impressive but really just a gimmick in my eyes. 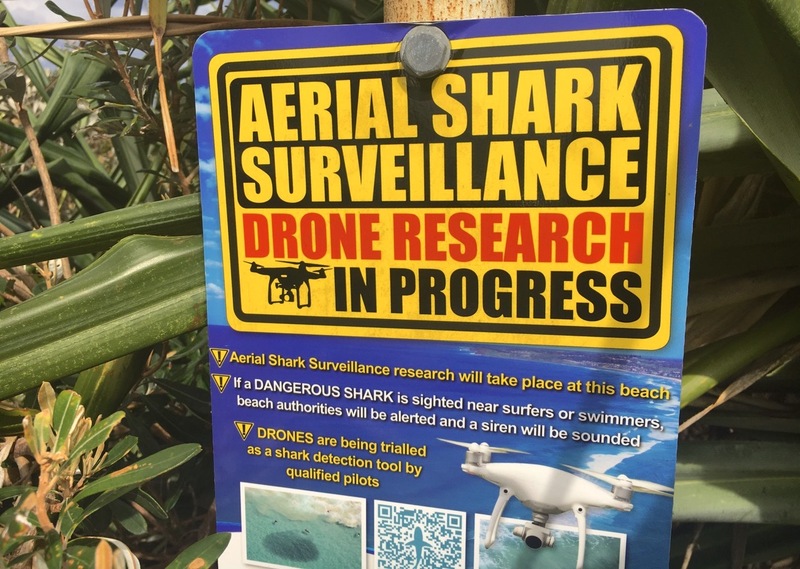 However there were some negative surprises. The cabin was surprisingly noisy especially on the passenger side with a constant wind noise sounding like the door was still open (when it’s well and truly shut). 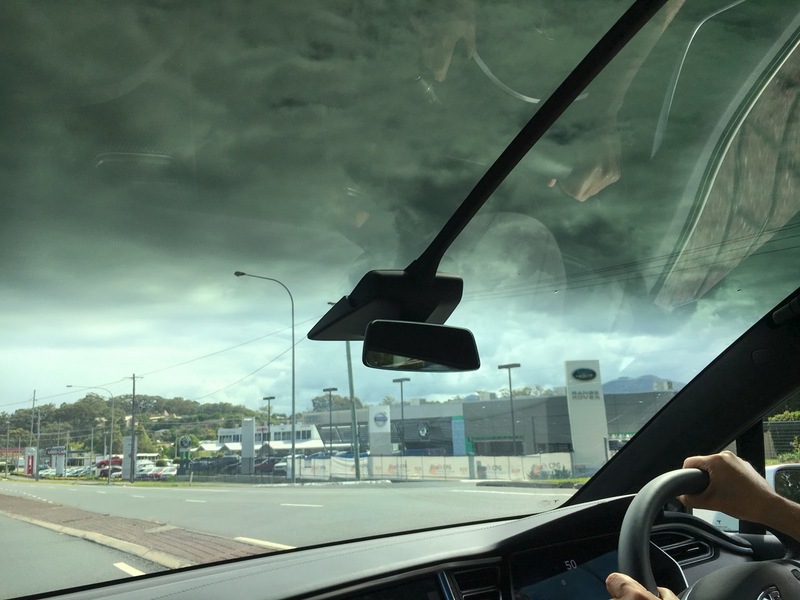 For large swaths of the trip – which was almost entirely done in heavily populated areas – the GPS does not recognise the Pacific Highway although new construction has been done with for almost two years. Surprising given Tesla’s “constant update” policy. And for half a day the GPS voice froze and was stuttering out of control, taking an overnight stop to reset it. Automatic high beam needs fine tuning as it goes off abruptly and a lot of times unnecessarily, whereas the low beams are too weak, actually creating a dangerous situation when there was none. I was also surprised when it became apparent that windscreen wipers don’t trigger automatically with rain, a function that exists in 20 year-old entry level cars such as the Peugeot 206 for example. 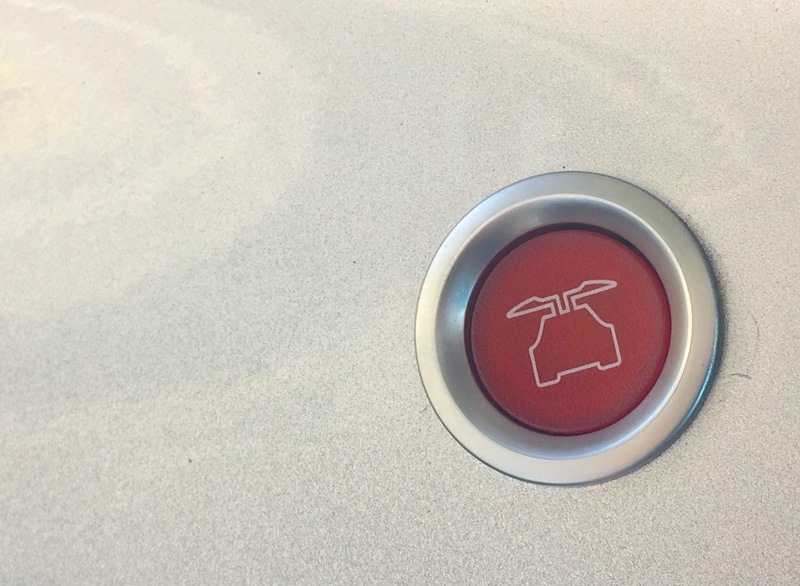 The user manual says this “will be available in a later software update”… This is so weird that a Tesla owner we met and chatted with at one of the supercharging stations (these locations do create a Tesla community) asked us about it. He also told us that his previous Model S did have the function. I console myself by indulging in yet another ludicrous acceleration: never, ever will I get tired of this. 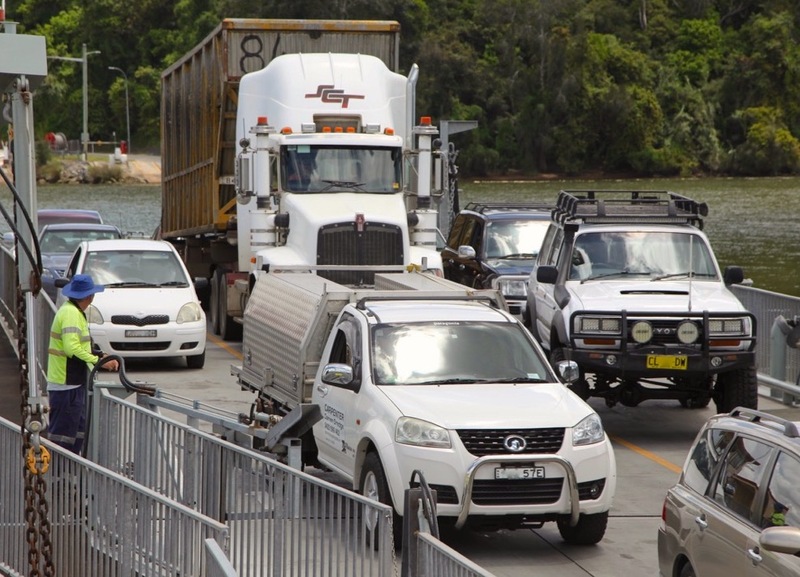 We then drive back to Sydney via a ferry crossing in Lawrence and a last night in Brooklyn NSW in the Hawkesbury River region. 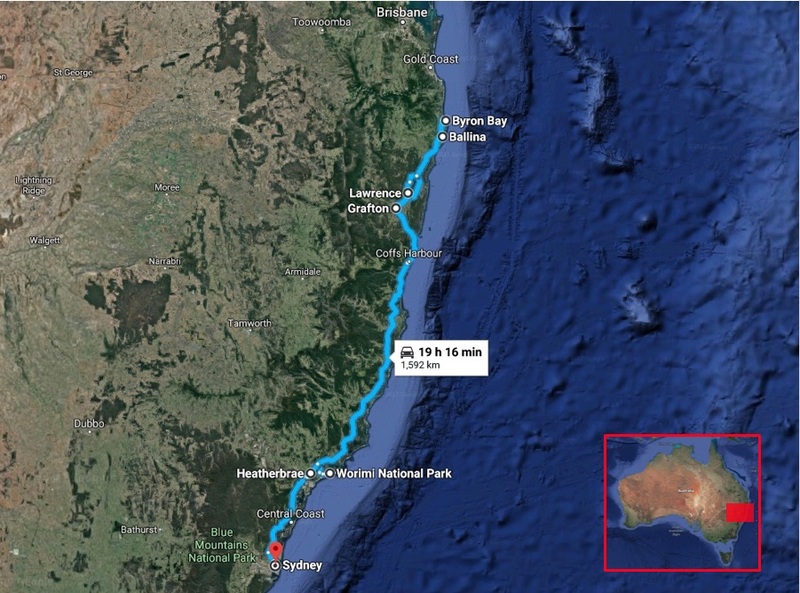 We return to St Leonards with 5.269 km / 3.274 miles on the odo after swallowing 1.766 km / 1.097 miles in four days. So. What is the Tesla Model X doing well, and not so well? 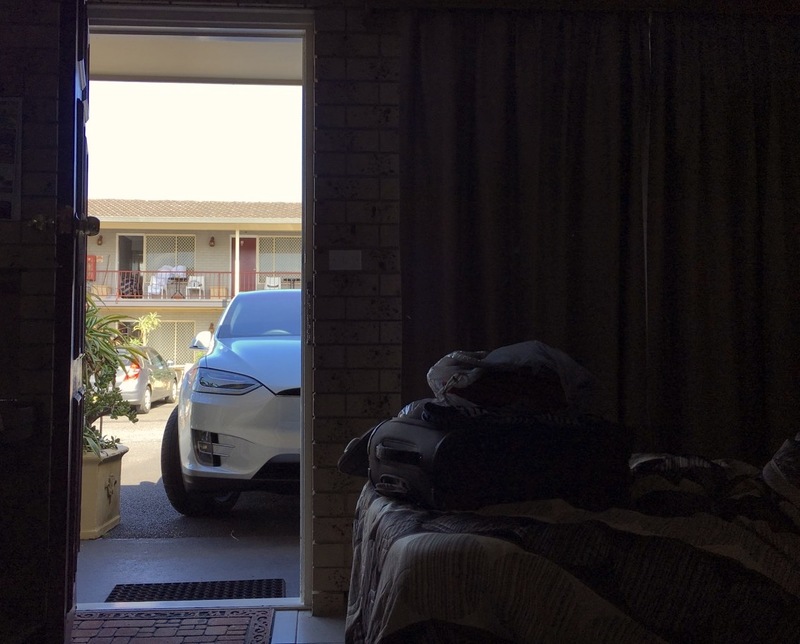 Stay tuned for our next test drive: a Toyota C-HR in the Australian desert. Australia May 2011: Holden Cruze on podium, VW Golf #7!